The feedback loop between feelings and breath is so wonderfully intricate and reciprocally sensitive. 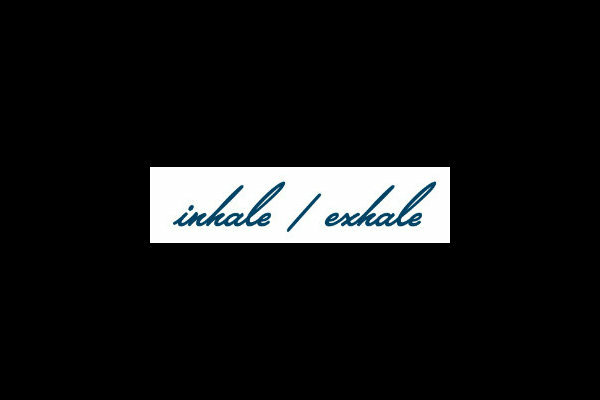 Many times at the beginning of class I’ll see students’ chests expanding on the inhale with little/no movement of the abdomen, with this usually an indicator of overt or covert anxiety and the shallow breathing feeding tension. By never taking a full inhale, a full exhale remains elusive and the nervous system is in a state of fight or flight, simply clouding mind and the capacity to think clearly. And I speak from experience. Working in political consultancy in my early twenties, I was working long hours under a lot of pressure, but thought I was coping. For a few weeks, I had a growing lump in my throat that would come and go, until one day in the office before lunchtime, I could barely breathe. I was allowed to go to the nearby walk-in centre and see a doctor. “So, how are you Charlene?” asked the doctor. I burst into tears as I told her the lump was getting bigger. “Your stressed” was her diagnosis. Relieved to know what was the cause of the lump but perplexed as to how I’d allowed myself to get so overwhelmed, I walked back to the office and tuned into my breathing. I was taking short inhales followed by holding my breath, before a short exhale. Thereafter, every time I remembered to check-in to my breathing, I observed I was always holding my breath and could only detect movement in my chest. My breathing was responding to my unease, my unease responding to my breath. Thankfully, the regulation of the breath is remarkably easy to do, it’s the willpower to stick with it that’s the sticking point. The mind tries to play games, puts up a fight to keep the mental verbiage continuing at a pace that would put Usain Bolt to shame, but the quiet voice that says “You know you’ll feel better” guides us to a quiet place to sit and breathe. For me, it was going to the toilet that nobody used, closing the cubicle and sitting on the lid for three minutes that asked for so little of my time, but provided a pause where I could feel me, and the more often I took a three minute break, the less the mind put up a fight. Shining a light on the body, mind, emotions, and spirit, Yoga as a tool is one of the most effective ways to address to imbalances and seek to restore these. I often ask students to imagine a baby breathing before mimicking the puffing of the abdominal wall on the inhale followed by the falling away on the exhale, over and over until the natural movement of the breath is restored and the breath simply comes and goes. Although a secluded place can help to quieten the senses, you can observe, direct, observe your breath anywhere. Simply ask “How am I feeling?” and without trying to answer this, watch how the breath responds. When you’re ready, draw the breath through the nose to the abdomen, before allowing it to leave through the nostrils, noticing the puffing and releasing of the belly. Do this for however long you need to before once again observing your breath. Whilst worries probably won’t evaporate on the exhale, by simply focusing on the breath you’re tuning into now, crafting space, and sending the message to yourself that you matter. Ashtanga Yoga is Nothing Special (and neither are YOU) by Matt Ryan.